Reception will begin immediately following ceremony. Can be purchased at the UNM Bookstore. They will click on Graduation Announcements and choose the package and/or design they would like to purchase. From there the site will flow them through customizing their announcements. Students will need to pick an option for their Degree but know that what they pick will not be printed as the only customized area is their name. The Degree is simply required due to other departments sharing the same announcements having this option required. 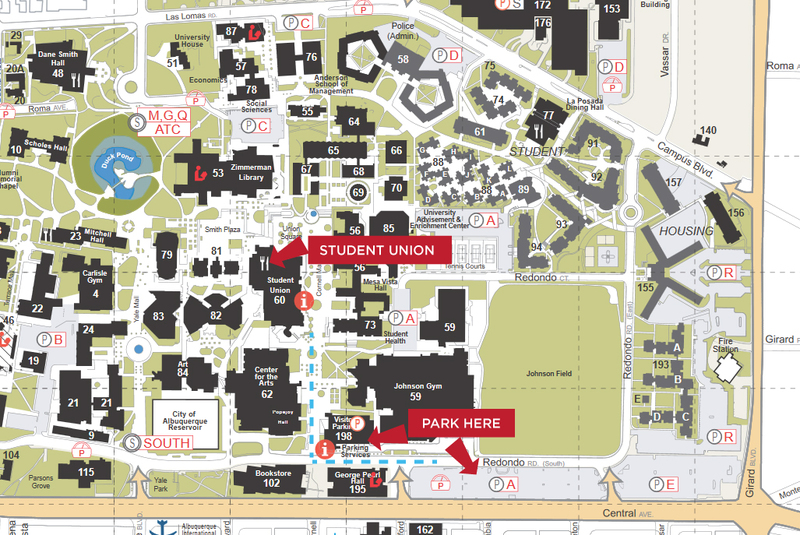 The two closest options for guest parking will be Lot A or the Cornell Visitor Parking Garage. For both parking locations, enter on Central Ave. & Stanford Dr.
All day Saturday, visitors may park in any permit zone free. Lot A will be the closest to the Student Union Building. Please do not park in a reserved or handicap space or next to any colored curb at any time, 7 days a week. 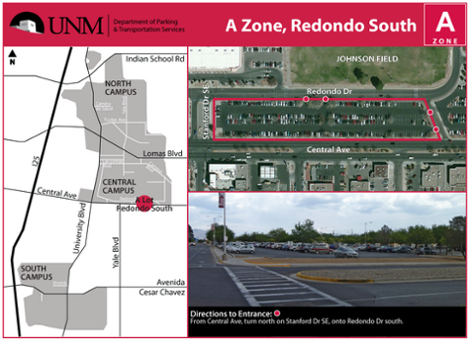 Hourly Parking is available at the Cornell Structure at the rate of $1.00 per half-hour. All hourly parking is purchased using pay stations that accept VISA, Mastercard, American Express, and Discover or through the use of Parkmobile to pay remotely by cell phone. Cash payments are only accepted on the third floor of the Cornell Structure, (bills only, no change accepted).